Paso Robles, Morro Bay, San Simeon, & all San Luis Obispo County. We provide the perfect family travel trailer for your camping & vacation needs. We make renting easy! "You Rent, We Deliver". Operating in all of San Luis Obispo county, we are available and ready to help our customers enjoy the city and surrounding area to the fullest. This partner L2C location is family owned & has been operating since 2011. We are here to provide you with an RV vacation trailer rental that suits your needs. 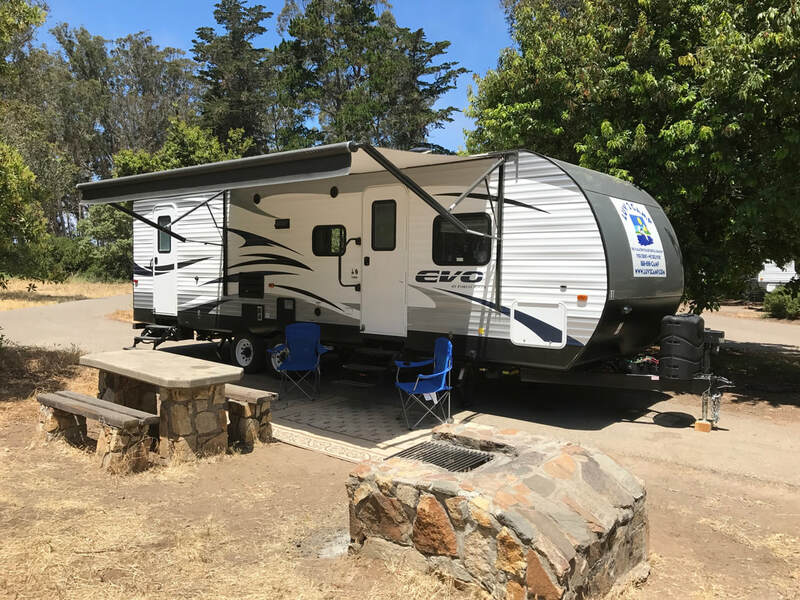 Whether you are camping at Santa Margarita Lake or enjoying the scenic views of the Pacific Ocean from Morro Bay, we offer an affordable RV trailer rental for the entire family! Shown here is a view of our 31' Salem Bunkhouse at Lake Lopez awaiting its next camping customer. "You Rent, We Deliver". ​Check back at the end of the 2019 season for units that will be on the market. Try before you buy. ​BRAND NEW UNITS COMING IN FOR THE 2018 - 2019 SEASON! Now offering another choice for guests staying in the Paso Robles Wine Country! Luv 2 Camp and Paso Robles RV Rentals LLC have joined forces to bring a larger line of camping choices and locations. Call (888) 898-CAMP (2267) for details on trailer rentals. Luv 2 Camp operates from many popular locations. We can also be found at www.Luv2Camp.com under the Paso Robles/Morro Bay/San Simeon tabs. You can also find us at Luv2Camp.com!